The war pictures are being shared widely on the social media are getting a lot of attention. The images are a powerful media to spread the news. 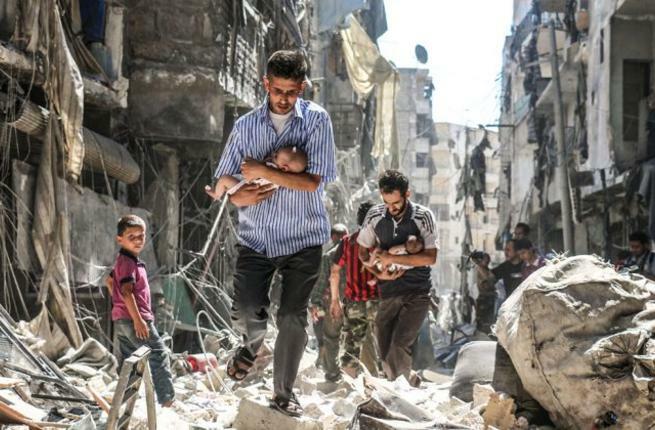 Two images from war-torn Syria have come to light now, defining the reality of the civil war destroying the country. 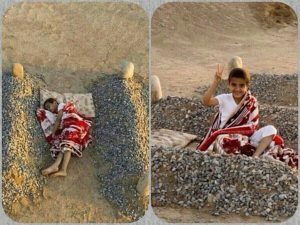 But as it turns out, the images that are being circulated all over as the pictures from the war-zone are not from Syria. 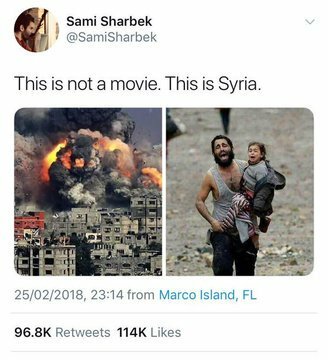 Yes, the images are not real and moreover, the images are shot with the camera and some of them are taken from the wars of other countries, and are being circulated in the name of Syrian war pictures and the social media are falling prey for the pics. So, most of the images have flooded the social media sites, drawing the attention of the world and some of them are going viral starting from February 25. Here is a tweet from Sami Sharbek that has gained over 56,000 RTs and 60,000 likes, which indicates the impact of the images have. However, like said above, the images are not from the recent Syria war or for that matter, some of them are not from any other war. Here is an undated image from Gaza credited to the EPA, reportedly shows Israeli jets on a bombing run. And, this is not the first time the images have been used to misrepresent the situation in the war/conflict-hit countries, and the usage of these images have become a trend. Last year, Mellieha Lodhi, a Pakistan’s permanent representative to the UN has tried to pass off a pic of a girl from Gaza from Kashmir and went on accusing India on the ‘crimes against humanity’ and carrying out a ‘campaign of brutality in Kashmir’. Later Lodhi brandished the images and the act which became an embarrassment for Pakistan.